Computers become crucial in the airline industry. From ticket reservations to aircraft design and manufacture, an industrial computer is behind on this airline operation which makes the airline business efficient and flexible. In this present era, the rise of such technology is driving the entire business world with continuous improvement in communication and efficacy in the workplace. The use of embedded computer systems revolutionised the world with immeasurable benefits. So, how does the technology changes the airline industry? How Industrial Computers change the Airline Industry? Amongst all the industries, the airline business gets a delight in all the maximum benefits from the advancement of technology. It has completely changed the form, structure, and the future of the airline industry in many levels. Whenever your passengers and even your crews will step in to the airport, an industrial PC is utilised for baggage scanning. As soon as they will reach the counter, an embedded panel PC is also used to checkout your passengers’ travel itinerary. Then, a projected capacitive touchscreen technology is ready to entertain your passengers whilst on-board. Therefore, every airline operation is integrated with different types of computing technology. A modern travel would be impossible without the use of technology. From aircraft design, flight operations, pilot training, and ticket sales, it all depends on IC systems. An industrial computer can withstand high volume of complex industrial applications and this includes the aircraft design. Designing an aircraft requires a software that enables the aeronautical engineer to perform a wide variety of tasks such as testing the aerodynamic performance of the aircraft, calculating the power and fuel consumption of jet engines, and regular tracking on various parts of the aircraft. The aircraft itself is manned by computer-based systems to provide vital information to the crew, manage the engine, and control the aircraft. 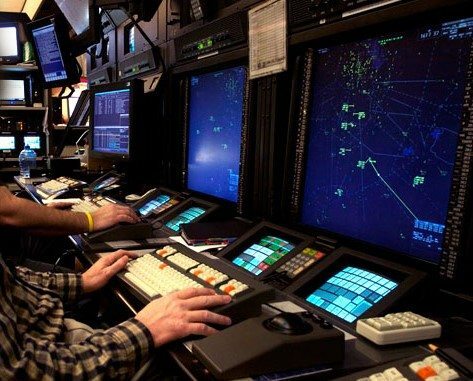 As of today, fly-by-wire computing systems are being used, instead of hydraulic steering mechanisms which you can find in older generations of aircrafts, due to the recent advancements of technology. Given that this is a mandatory requirement, as a matter of fact, all of the pilots shall regularly undergo extensive trainings and testing for any advancement and/or upgrade being made on the aircraft. Computerised simulators are created for any challenging real-time flight situations. These are made of PC enclosures complete with displays and monitors in a full-sized reproduction of cockpit. Although tickets can now be booked online, self-service kiosks are still deployed. This is to handle passengers who have no tickets yet. You must keep in mind that millions of passengers would still prefer traditional air travel reservations, only you have to adapt a little bit of sophistication using self-service kiosks. By doing this, ticket sales will absolutely increase and more profits will also come in for your airline business. Why Consider Industrial PCs For An Airline Business? Today, the UK airline industry has a contestable market. High-fixed costs are extremely possible when setting up an airline firm. But, if you want to be competitive, you need to invest in advertising, win customers’ loyalty, and make use of the modern computing technology. Take leverage in the airline business by utilising industrial PCs advantage.